In both film and animation production, there are several stages of development which contribute to producing a high-end quality product. Right at beginning of this process, before a single frame of animation is produced, there should be the storyboarding stage. Bypassing the storyboard stage can be an extremely costly affair and one that any producer would want to avoid. Right after you are given the brief or story for a particular film or project, you have to make sense of what needs to be put across, and in more detail. A storyboard allows you to plot out the main action that goes on and to convey the correct emotion and/or message in the scene, while also helping the sense of timing. Its a 2-minute film, but is it really a 2-minute film? This creates a benchmark for where the project needs to go from there and allows the team to understand the full scope of what is needed to achieve the final product. Storyboarding is often critical to client buy-in and it’s also probably worth asking or working with clients on developing a visual story – even a few scribbles help! Often written text is hard to visualise and is also in some ways subjective to one person’s view. Let’s say we have a brief to create a short story animation. We’d get given the basic idea of the story and some loose character profiles, as well as what audience they expect to reach. Based on this information alongside (if available) a rough script and other supportive material, we can begin to put together a rough story. 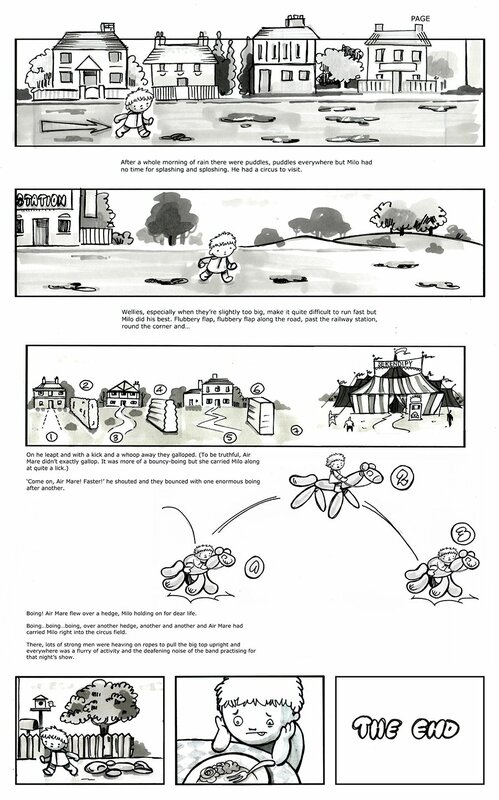 Storyboards can go through several stages of revision, and quite often it starts with simple stick men, and most of the time production does not move on until the main parts are approved. For Sliced Bread, there have been several Case Studies that really needed storyboarding in order to flesh out the key aims of a product. Since some certain projects turnaround are pretty quick, we need to make sure our storyboard brings home the message clearly and succinctly, whilst keeping the viewer engaged through the style we proposed to implement. It’s worth mentioning at this point, that because it is a stage that happens right at the beginning, the storyboard doesn’t really need to include a high level of design detail – as long as you get your point across. In most animation cases, the storyboard is actually integral to the next steps in development as the storyboard will then turn into an animatic and ultimately act as a guide for each shot’s timing. Using the storyboard’s individual frames, some shots will be elaborated on, by incorporating some basic animation. This can allow a production team to further develop the style of a character and how they express themselves.